Delve Interactive, the company that brought award-winning PONCHO to life, hopes to create another unique experience for players by putting them into . CHANGE: A Homeless Survival Game is their newest project, and it’s one that seeks to examine the reality of homelessness. A Kickstarter campaign for the game has gone live, giving a full overview of what they hope to achieve. 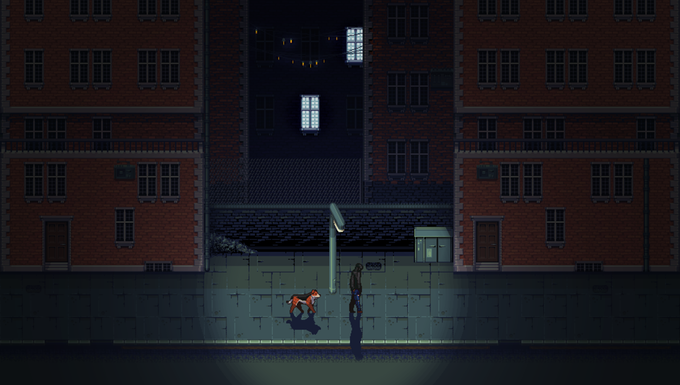 CHANGE puts the player into a procedurally-generated, endless city with survival as the main goal. Players can develop perks and skills, find companions, and navigate nightly events, all with the end goal of finding a new home. Inventory management will be key, as players will need to keep tabs on food and other items in order to survive. There is a weather system in place that will force players to vary their methods of shelter and survival, along with randomly generated NPCs to meet and interact with. Each encounter, city, and experience will be somewhat unique to each individual playthrough, as most roguelike games tend to be. We’ve decided not to go with stretch goals. The game’s design is finished, and to add things or have things that can only be added with enough funding would only tarnish the design. In terms of porting the game to consoles, sure, if we get enough money then we’ll definitely pursue it. But we believe that reaching our initial goal is enough to create a finished game. If the campaign reaches its goal, the release date would target August 2017. There is a caveat, though; if development time runs long due to other projects taking priority during the AAA development crunch season, their amended release window would shift to January 2018. The game’s launch plans to include versions for Steam and mobile tablets, with the possibility for other ports, depending on funding and reception after release. Tara is an undergrad student at Millersville University going for two BAs: English writing studies and philosophy. Video games and books are two of her main passions, especially anything in the realms of fantasy and science fiction. Though, she does love a good sim game, too. Writing is her main aspiration, though it usually gets pushed aside for gaming, reading, concerts, and her cats. Especially the cats.